Artificial intelligence has come to make life and business run faster, smarter and easier. This concept means the logical form of using computers to solve the problems as related to medical diagnosis, electronic trading, robot control, and remote sensing, which in numerous numbers of its application is really changing the face of business. The most surprising and intriguing thing about this artificial intelligence is that, it is changing everything virtually around us and mostly unknowingly. It is used in various fields of computing and business, while targeting the perils of solving the hardest problems that the organization while undergoing the bureaucratic approach in maintaining the standards of operation within the organization. We all know that the products of artificial intelligence do not have feelings or judgmental abilities as compared to humans while taking in consideration the term empathy, so it’s expected to abide unquestionably to the commands and directions programmed within the system. Artificial intelligence is not just based on military technology, industrial robots, or self-driving cars, or just a search engine that suggests for the user, rather it also encompasses virtually everything that has to do with business from Education to finance, heavy industries, online and telephone communication service, transportation of all kinds, telecommunication maintenance, toys and games, music, aviation, marketing, news publishing and writing and to have reached to this extent of reference, in no doubt has the ability of changing not just the face of business but also the entire society and it’s approach to business. Take for instance some online marketing industries, even before you visit their websites, are already sending you some suggestions of what you might need in the nearest future, in a restaurant like KFC in Beijing China, you are expected to sit down while the robots reach to you and recommend the best dish that would suite your day and returns back in few minutes with accurate order, you can now , how all this becomes possible, then we consider the term analytics, it gathers its information from reaction, interests, choices, and behavior of customers mostly from his previous search. With such improvement in the business environment, it is now becoming too obvious that within a limited time in the nearest future, companies, industries and the likes are no longer going to be employing human forces because these artificial intelligence systems will take up the entire business environment such as a car driving itself needs no more drivers to be employed, hospitals with machines that can operate on human being without a single mistake reduces the number of doctors to be employed, countries would go to war and return triumphant without the presence of a single human being in the war front and even pulling a single trigger which increases security, such as robots being the teachers in so many Educational institutions which would reduce drastically the number of teachers that will be needed for universities to run effectively. With all of this examples its now clearly stating the rate at which artificial intelligence is taking over the business environment and in turn becoming a serious threat to the human race and to be in lane of seriously changing the entire standards and process of doing business. Siri: It is found in Apple iPhone and iPad. The female friendly voice assists and interacts with the user on a daily routine. Cogito: The AI solution, which analyses the human voice and provides real-time guidance to enhance behavior. Netflix: This technology examines from a number of records to recommend movies based on your previous liking and reactions. And many more like the Pandora, Nest (Google), Box ever, Flying Drones and Echo. Taking risk on behalf of humans. 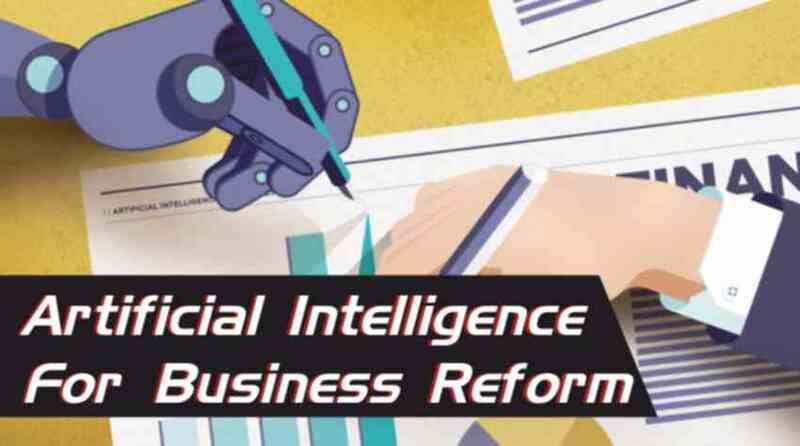 We can see that any business firm that will prioritize the above listed advantages will definitely go for the artificial intelligence. The traditional way of doing business cannot beat the modern way of doing business because time needed to complete a certain task can be reduced by the technological systems provided and thereby increases the productivity of those establishments. Every business owners wants to be known worldwide as competent and efficient, and to attain this level, they are doing everything technologically where and when necessary. Fraud Detection:-Financial institutions like the banks tend to troop into this medium of operation for sending customers messages, whenever they think that there is some form of unusual operation or activities in the customer’s account, this is really helping to keep the customers close to the bank and will maintain customer’s trust in their operations. It provides a sense of security and in several occasions the customer will recommend the institution to other clients. Online Customer Support:-Unlike the old pattern of doing business, the modern days business owners now provides a real time support to their customers, through some online medium such as real-time chat, this has really done a lot to enhance the communication scheme between various establishments and their customers. Instead of allowing the concept of artificial intelligence, which is already a threat to human race to dominate the work environment, we should find a means of working in line with this development. AI has much to offer but in most cases can perform worse than human being and this gives an opportunity for human race to still remain industrious. Technology Speaks Louder, Learn How?